Uttar Pradesh Chief Minister Yogi Adityanath held his first press conference in Lucknow today and laid out the blueprint for the state. The Chief Minister made it clear that development will be the prime focus of his government. He said that there will be a special board for Bundelkhand. Yogi Adityanath sworn in today as Uttar Pradesh Chief Minister. State BJP chief Keshav Prasad Maurya and Lucknow Mayor Dinesh Sharma sworn in as deputy Chief Ministers. 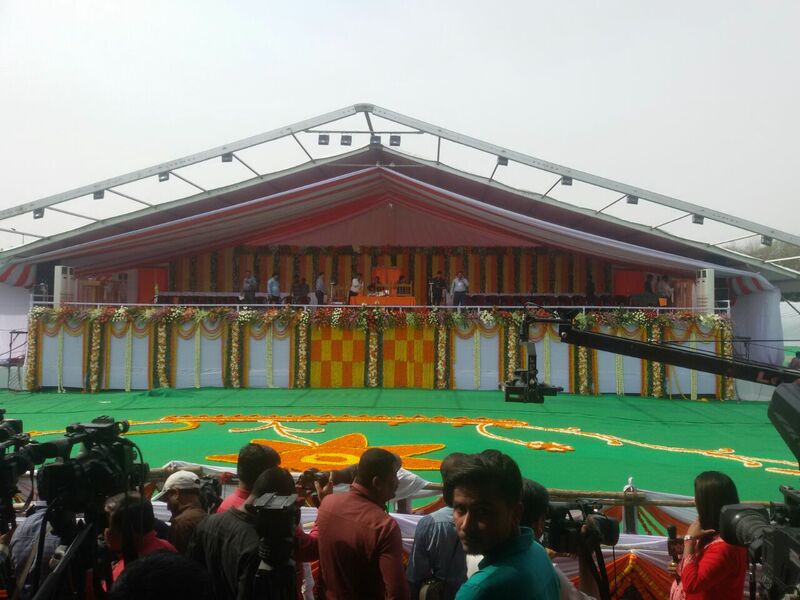 Yogi Adityanath will address media at 5 PM after the swearing-in ceremony at 2:15 pm. The press conference will be held at Lok Bhawan in Lucknow. UP Chief Minister Yogi Adityanath holds his first press conference in Lucknow.